Our fitness center is open 24 hours/day. 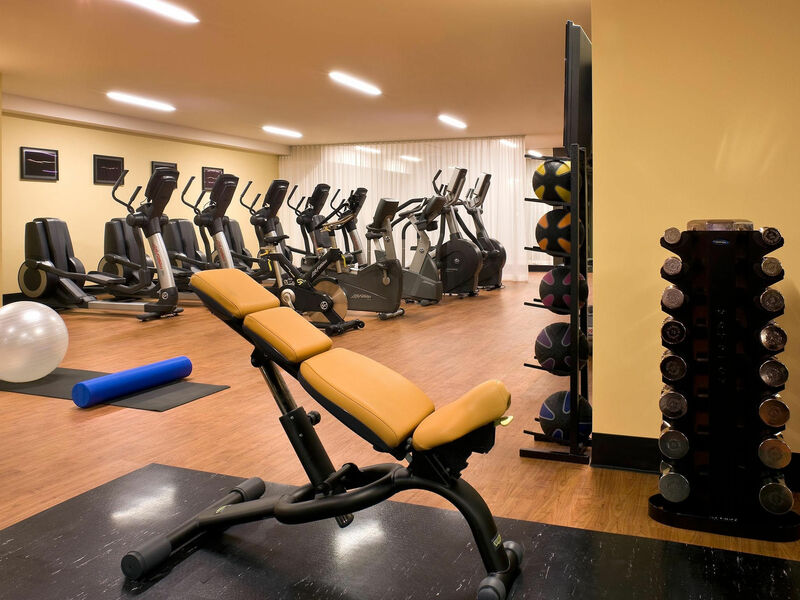 It features state-of-the-art Life Fitness® by Bally’s cardio equipment (accessible in 13 different languages), three Peloton bikes & professional-grade free weights, along with numerous flat-screen televisions. We also provide complimentary earphones, towels, water and reading materials, ensuring an optimal workout. *Please note: we kindly ask that all children are supervised by an adult.